The conversion of the former Old Dog public house in Up Holland has won two West Lancashire Design Awards. The development won the ‘Residential’ and ‘Renovation/Conversion’ categories. Steven Abbott Associates LLP acted on behalf of the developer, S & I Developments Ltd, to provide detailed planning advice in support of the scheme which was designed by Schofield Design Associates. 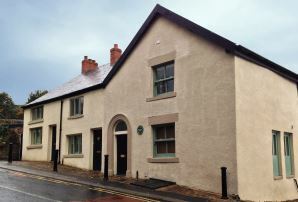 The scheme involved converting and renovating a vacant Grade II listed former public house into three bespoke cottages. The judges recognised the sensitive way in which the development had been designed and carried out to respect the historic character of the building and its setting within a Conservation Area.